Coloradans are ready to walk and roll for FSH muscular dystrophy. Living with FSHD can be a lonely road. 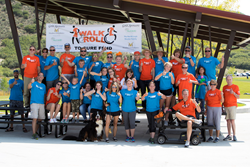 At the Walk & Roll, we realize no one makes the journey alone.